The first clue to the identity of the body came from a 12-year-old boy named Alexander Potts—known to his friends as Paddy—who sold newspapers and candy at the depot, and sometimes carried light baggage. Paddy remembered a woman in a calico dress who wanted to check in her trunk but was unaware that she would first need to buy a train ticket. He showed her to the ticket window and watched as she purchased a ticket to Chicago. The trunk arrived in a separate wagon and he helped move it to the freight office. Though only two and a half feet long, the trunk was extremely heavy. Paddy remembered that the cart that had delivered the trunk had the name Tripp on the side. This sent police fanatically searching for a deliveryman named Tripp. At 1:00 AM they tracked down a truckman named Trapp and took him to the Central Office, but Paddy Potts said he was not the man. It was not the only mistake the police made; the train left several hours after the body was discovered, and someone used the ticket the woman had purchased to travel at least as far as Albany. The police had time to intercept the passenger, but instead her identity remained a mystery. The trunk was taken to the “dead-room” at Bellevue Hospital, and when removed from the trunk the body remained in the fetal position due to rigor mortis. It would have been impossible to bend the body into this shape after rigor mortis set in, leading the coroners to the shocking belief that she was put into the trunk while still alive. During the post mortem examination it was discovered that the woman had been pregnant and had died due to infection from metroperitonitis. She had apparently died from a botched abortion. Two days after the body was found, a truckman named William Pickett came into the Eighteenth Precinct police station at 22nd Street, near 1st Avenue, and said he had read the newspaper and believed that he was the man who had delivered the trunk. This time Paddy concurred. Pickett said that a woman had hired him to pick up a trunk at an address on 2nd Avenue and deliver it to the depot. From the description Pickett gave of the people he met there, Police Sergeant Rooney knew immediately it was the home of Jacob Rosenzweig. Though he would sometimes say he was Russian, Rosenzweig was a Pole, whose voice had “a twang of the German Jew," and Rosenzweig was a well-known abortionist. He had previously kept a beer saloon but found abortion much more lucrative. At one time Jacob Rosenzweig had as many as five abortion offices throughout New York. 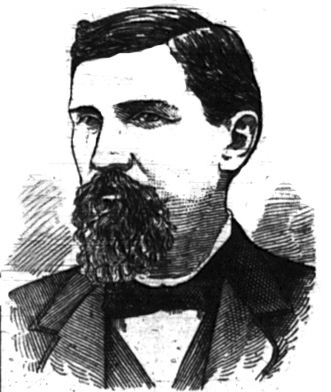 In 1871 he lived with his family on 2nd Avenue and kept an office on 5th Avenue below Amity Street, where he practiced medicine under the name Dr. Ascher. Ladies in trouble guaranteed immediate relief, sure and safe; no fees required until perfectly satisfied; elegant rooms and nursing provided. Dr. Ascher, Amity Place. 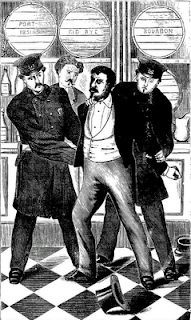 Though he denied any knowledge of the dead girl, the trunk or abortion, Jacob Rosenzweig was arrested for murder. The body was still unidentified, and though it was deteriorating fast, it was put on public display in hopes that someone would identify the young woman. Hundreds of people, masking their noses with cloth saturated with carbolic acid to hide the smell, gawked at the body, and though there were several false identifications, most just came to view it out of morbid curiosity. The arrest of Jacob Rosensweig brought some information leading police a little closer to identification. Earlier in the summer, the New York Times had run an expose on abortion entitled “The Evil of the Age.” An undercover reporter, accompanied by a female assistant, visited a number of abortionists, ostensibly shopping for an abortion, to learn the workings of the trade. The reporter remembered seeing a petite blonde woman when he visited Rosenzweig. He viewed the body and swore it was the same girl. The real break came from a physician named Dr. Theodore G. Kinne from Paterson, New Jersey. Kinne viewed the body once and thought he knew who she was. He returned a second time with a dentist, Dr. Joseph Parker, who worked in the same office. Kinne recognized the woman as patient of his named Alice A. Bowlsby; what made him so certain was a distinctive vaccination scar she had under her left elbow. Dr. Parker agreed, recognizing two fillings, an extracted tooth, and a scar from an ulcerated tooth, all of which had been his work. 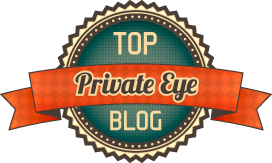 The police searched Rosenzweig’s house again, and this time found a handkerchief in the laundry, which, when viewed under a magnifying glass had the letters “A. A. Bowlsby.” But Rosenzweig was still proclaiming innocence. The evidence against Jacob Rosenzweig—now nicknamed “The Fiend of Second Avenue”— seemed overwhelming. The trunk with the dead body had been traced from Rowenzweig’s house to the train depot; Rosenzweig was a known abortionist, and the girl had died from an abortion; the body was identified as Alice Bowlsby, and a handkerchief with the name “A. A. Bowlsby” was found in Rosenzweig’s house. 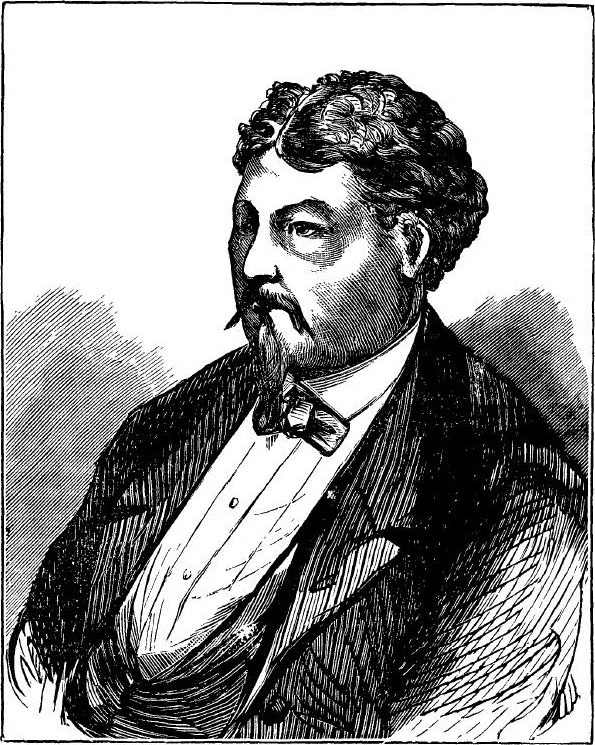 But Rosenzweig had hired attorney William Howe of the law firm Howe and Hummel, notorious for successfully defending some of the worst criminals in New York. Using what the New York Sun called “a medical quibble here, a legal quibble there,” Howe picked away at every link in the chain of circumstantial evidence. There was no proof that Alice was ever at Rosenzweig’s house; Howe found an Anne Bowlsby in Brooklyn who claimed she had known the Rosenzweig’s for years and had left behind the handkerchief. 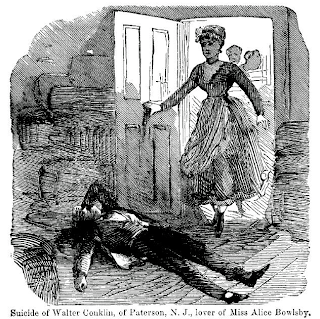 Alice’s mother hadn’t identified the body she left it to “a hired dentist, and a hireling physician.” And couldn’t Walter Conklin have murdered Alice and sent the trunk to New York? The jury was not swayed; they found Rosenzweig guilty of second degree murder—the highest charge available for death by abortion. The judge gave him the maximum sentence, seven years hard labor at Sing Sing prison. Though Rosenzweig would bad mouth his attorney for not winning an acquittal, Howe did get Rosenzweig out of prison fairly quickly. He appealed the case on the grounds that the prosecution introduced evidence from a Nellie Willis, who had received an abortion from Rosenzweig. This testimony unfairly brought a second charge against the defendant. The appeals court agreed and Rosenzweig was scheduled for a new trial in November 1872. However, in April 1872, New York enacted a new law outlawing all abortion. Since the death occurred before 1872, Rosenzweig could not be tried under the new law, but since the new law repealed the old law, he could not be tried under the old law either. With no law to try him under, the court reluctantly released Jacob Rosenzweig. He was in prison less than a year. Alexander, Charles Wesley. New and additional details of the horrible New York trunk murder .. . Philadelphia, Pa.? : C.W. Alexander?, 1871. Murphy, Cait. Scoundrels in Law: The Trials of Howe and Hummel, Lawyers to the Gangsters, Cops, Starlets, and Rakes Who Made the Gilded Age . New York, N.Y.: Smithsonian Books, 2010. The Great "Trunk Mystery" of New York City. Murder of The Beautiful Miss Alice A. Bowlsby, of Paterson, N.J. 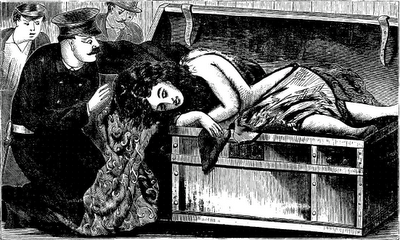 Her Body Placed in a Trunk and Labelled for Chicago. Many Strange Incidents Made Public . Philadelphia, Pa.: Barclay, 1871.